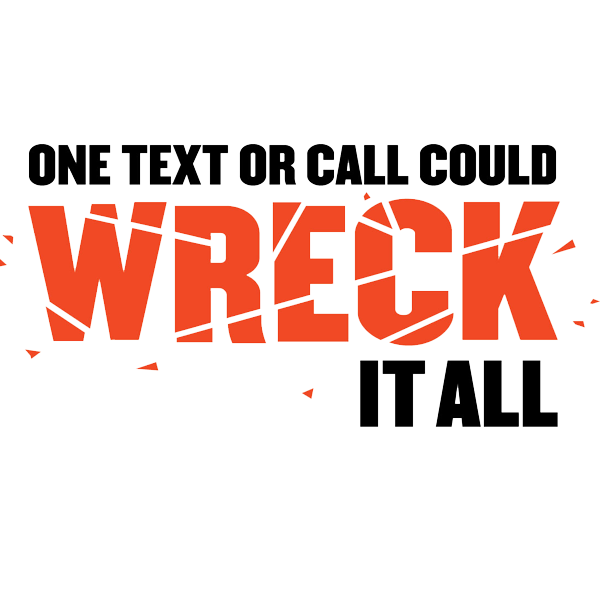 Download the "One Text or Call Could Wreck It All" banner to hang up and promote no texting while driving in your school! This campaign focuses on warning young drivers against the dangers of distracted driving by providing factual information regarding the consequences of texting and driving. For more information on the program, please visit: Distraction.gov. Sign up for the Reduce Teen Crashes program and download the "One Text or Call Could Wreck It All" banner to complete this activity. 1. Download and print the "One Text or Call Could Wreck It All" banner to be hung in your school's common area. 2. Take a photo of the banner that demonstrates its role in creating awareness (Ex: students posing next to the banner). 4. Enter the name of the submitter and select the activity completed, the county, and school.